The President and CEO of GLAAD opens up about her approach to failure, her love for travel, and the ritual she swears by on her morning commute. Sarah Kate Ellis is President and CEO of GLAAD, a dynamic media force that tackles tough issues to shape the narrative and provoke dialogue that leads to cultural change. 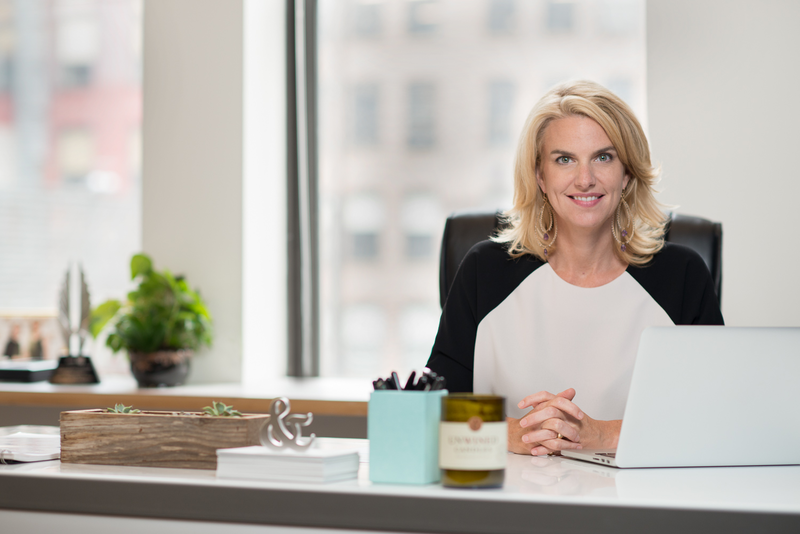 Prior to joining GLAAD, Sarah Kate Ellis led national media brands, notably growing Real Simple into one of Time Inc.’s most respected and successful magazines. Her vision also transformed and energized leading media outlets including Vogue, InStyle, New York, and House & Garden. In her Thrive Questionnaire, she opens up about her approach to failure, her love for travel, and the ritual she swears by on her morning commute. SKE: Pour myself a cup of coffee. SKE: Big visionary ideas that can change the world, my children, sunny days, and new adventures. SKE: I meditate every day no matter what. And, since I live in New York and commute by train, I call my mother every day on my way to work. SKE: Susan Faludi’s Backlash. I read it in college and I had my first understanding of how media shapes narratives for good and bad. It inspired me then, and continues to inspire me in the work that I do everyday. SKE: It does sleep with me, however, when I am with my kids it is in another room and only gets checked once in a while in case of breaking news. SKE: My assistant is on all of my emails and helps me sort through them. I’m so thankful for his help. Also, I travel between LA and NY often and I use that uninterrupted plane time to get caught up. SKE: First, I spend time organizing my desk, then I start with the easiest task on my list. Also, I do this thing where I tell myself that I only need to cross off 5 things on my list before I’m done. Before I know it, I’ve usually ended up doing most of the tasks at hand, but if I know in my head I don’t have to do it all it takes the pressure off. SKE: I research some new adventure I want to take my family on; we love to travel. SKE: There are degrees to being burned out… The last time I felt truly burned out, like, needed at least a month to bounce back, was about six years ago before I became President of GLAAD. I was working in an industry that was unable to innovate fast enough to keep up the changing media landscape, and it was exhausting and defeating. Since then, there are certainly moments of burn out, but I quickly rejuvenate through spending time with my family, and taking much needed vacations. There’s also an element of excitement that comes with my job that usually helps me bounce back quickly. SKE: Failure is a part of my job, but I always see it as an opportunity to approach my work differently. SKE: Laugh at yourself more. SKE: Nelson Mandela once said “It is impossible until it is done” and Valerie Jarrett once said “It is impossible until it is inevitable”. I use these quotes in my daily life. Sometimes changing culture can seem impossible, but then, eventually and seemingly all of a sudden, it is happening in front of your eyes, and it is miraculous. Sarah Kate Ellis was named President and CEO of GLAAD in early 2014 after a successful career as a media executive. In short order, Ellis refocused GLAAD’s crucial advocacy to accelerate acceptance of the LGBTQ community through a variety of compelling and effective initiatives, campaigns, and programs. A forceful spokesperson for LGBTQ acceptance, Ellis’ commentary and statements have appeared in influential media including The New York Times, The Los Angeles Times, USA Today, TIME, Vanity Fair and hundreds of other outlets. A thought leader in the space, Ellis has spoken about the crucial impact of GLAAD at Princeton, University of California Berkeley, the Public Relations Society of America, and more.